Calling All Cat Lovers – Why Not Volunteer for Lichfield and Tamworth Cats Protection? Lichfield and Tamworth Cats Protection is one small, but important part of the national charity, made up of 250 branches, helping to rehome and care for 215,000 cats a year across the UK. The branch is entirely made up of volunteers who provide valuable support to the running of the branch. Our volunteers are a diverse group from a range of backgrounds who give as much or as little time as they are able, to fit around their home lives and commitments. If you are an animal lover and interested in volunteering, whether it be for one hour, one day or are interested in more regular volunteering then we’d love to hear from you. Lichfield and Tamworth Cats Protection is made up a great group of friendly, like-minded people who undertake a variety of roles for the branch, all of whom pay a vital role in improving the lives of the cats and kittens in our care and in our communities. Fosterers; these volunteers care for cats and kittens in purpose built pens in their gardens or in dedicated rooms in their own homes. Lost and Found Volunteers who manage all reports of lost and found cats, share across our social media and follow up reports to find out which cats have returned home. Administrative volunteers who undertake a range of tasks in support of the welfare and neutering Team, from dealing with neutering voucher requests to responding to emails. 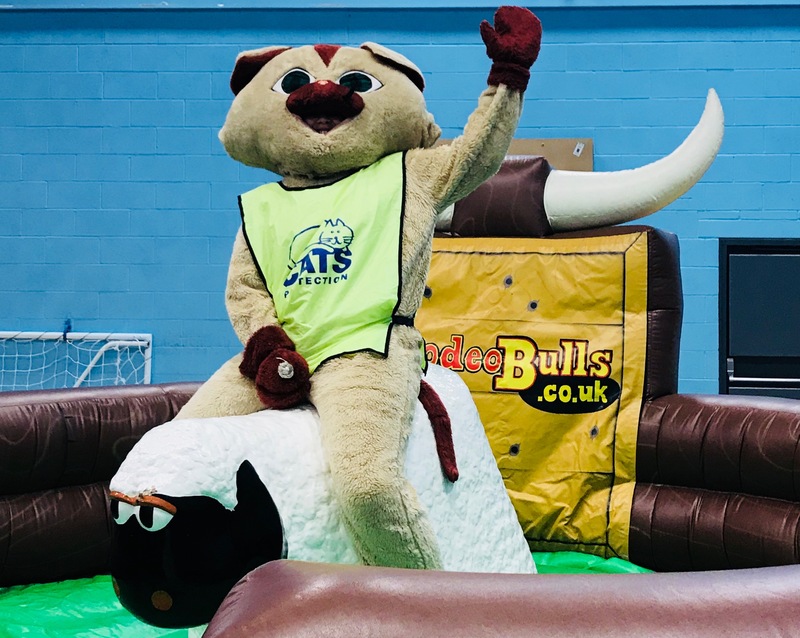 Fundraising Volunteers who raise vital funds for the Branch by running stalls at events, participating in sponsored events, organising events and even dressing as our cat mascot! Education Speakers who provide talks to local schools and community groups. Lichfield and Tamworth is a small branch with no adoption centre or base to work from, meaning we are all spread across the local area. We are keen to increase our numbers and welcome new volunteers so we can help even more cats and kittens. The Branch will run recruitment campaigns throughout the year where we will advertise for specific roles. All current vacancies are advertised below. If you are interested in volunteering with us and you would like to learn more about any of the roles advertised, then please contact us at enquiries@lichfield.cats.org.uk or call us on 0345 371 2741. If you are interested in volunteering with us but the role you want is not currently advertised, please be patient and keep an eye on the website and our social media channels. Please be aware that there is an informal recruitment process for new volunteers and we do have a limited number of spaces for some roles, in addition not everyone will be suitable for every role.